« First Egg! Update: EGGS! 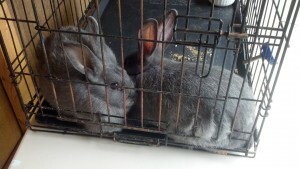 We have meat rabbits! Well, we have a breeding trio whose offspring will be our meat. The breed we decided to have is silver fox, a heritage breed. 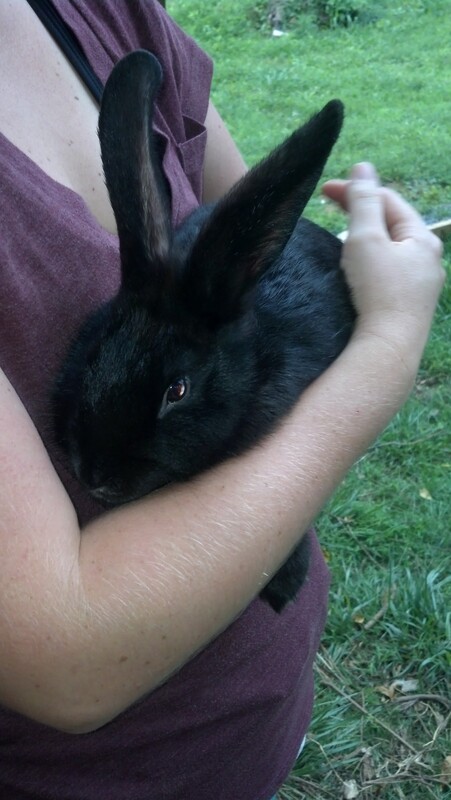 Harley had purchased cages and supplies from Bass Equipment, and we’ll post an article detailing the rabbitry once the rabbits are settled in. For now, enjoy the pictures of our beautiful new rabbits! As with many animals, the grey color of the does is called “blue” and its a recessive trait. The black color of the buck is dominant, but he carries the recessive blue gene because his sire was blue. Therefore, in the offspring we should get about half blue and half black. 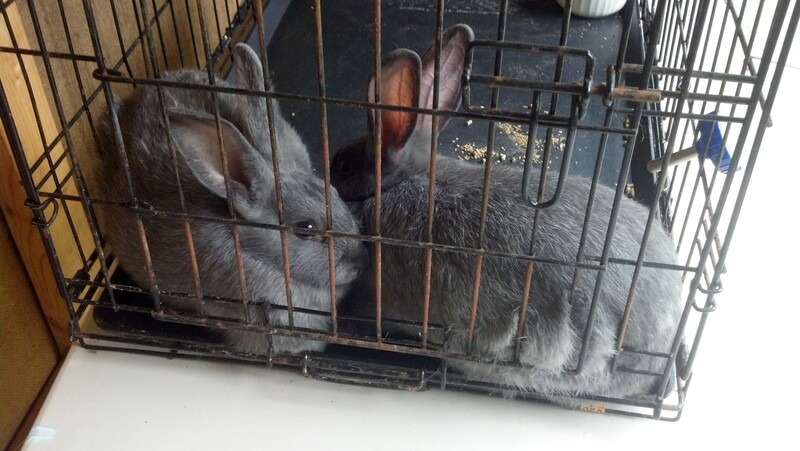 These rabbits are junior rabbits, so they’re not yet of breeding age. They were born in April, and we’ll breed them sometime in the next few months.